Tiago: Yeah! We're going to the Amazon! Q: How long is the time gap between the first movie and the second? Q: Does this movie take place in Rio de Janeiro? Q: Are the chicks different compared to the first film? A good animation is made weak by clichéd writing. Lot of work and thought and detailing goes into an animated film. But if the writing is weak it cannot be pulled off easily. RIO 2 precisely suffers from that. The scenes are too clichéd for my comfort and the plot is very age-old. 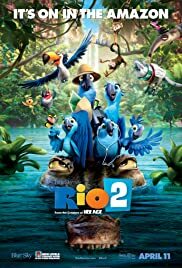 The bird formations, their beautiful feats have been all been seen in RIO and there is nothing new to offer on that front too in RIO 2. I felt like the basic format of the earlier film RIO was taken and just few modifications were done in writing. So it has that been there, seen that feel that does not add up any value. 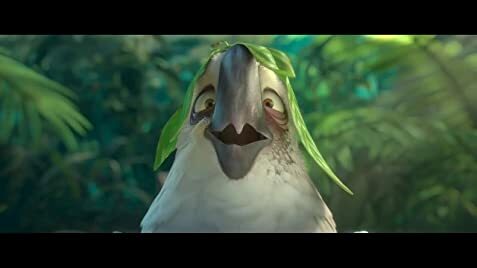 The voice over is good and it seems like Jesse Eisenberg did make effort to feel like the bird Blu. Although the chemistry between the two birds, Blu and Jewel does not show up adequately, individually voice over of each was good. It's Anne Hathway for the female protagonist, Jewel. The other aspects were fine, considering this is a commercial animated film. A word about music, which was good in RIO, comes weak and though are many songs, not even one was memorable, as I left the theater. So the music did not make any impression either. If people like average stuff or have not seen RIO, perhaps will like it as they may find some new things here. For me, I did not like it and felt like a big bore. An average rating of 2/5 for this. It's not bad, it's purely mediocre. 36 of 47 people found this review helpful. Was this review helpful to you?